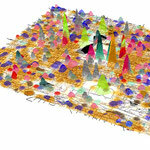 The “human-scale” refers to a delicate level of fine granularity at which people interact with their surroundings with innate physiological, cognitive, and perceptual apparatus; “human-scale urban form” is the morphology of urban socio-ecological systems (SES) that not only serves people’s immediate needs for life, work, and spirituality, but is also tangible and directly appreciable by people in their daily lives; the performance of human-scale urban form is the manner in which and theefficiency with which urban form fulfils its intended purpose(s). As such, insights into how people interact, intentionally or otherwise, with a great variety of human-scale urban forms, and how and why people feel about if and to what extent their needs are met are valuable and informative pieces of knowledge to the contemporary practice of urban planning and design. With the advancement in human understanding of urban landscape, and the development in data science and technology, it is now possible to measure at a high level of precision both human-scale urban form and its performance, and further explore ways in which these new understandings improve human practice in SES and enhance urban form performance at the human-scale. Although it is widely known that quality of street space plays a vital role in promoting urban vibrancy, there is still no consensus on how to quantitatively measure it for a large scale. Recent emerging dataset Street View Picture has revealed the possibility to overcome the previous limit, thus bringing forward a research paradigm shift. Taking this advantage, this paper explores a new approach for visual quality evaluation and variation identification of street space for a large area. 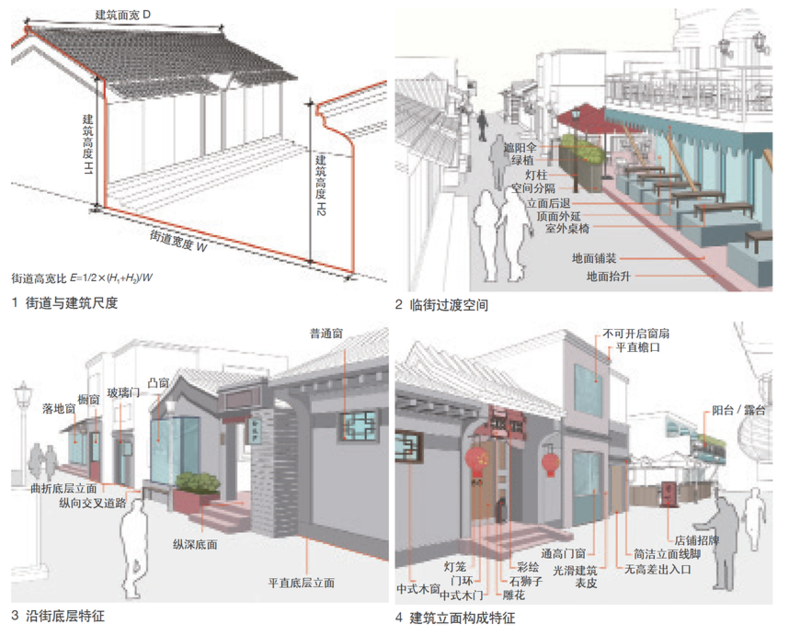 Hutongs, which typically represent for historical street space in Beijing, are selected for empirical study. 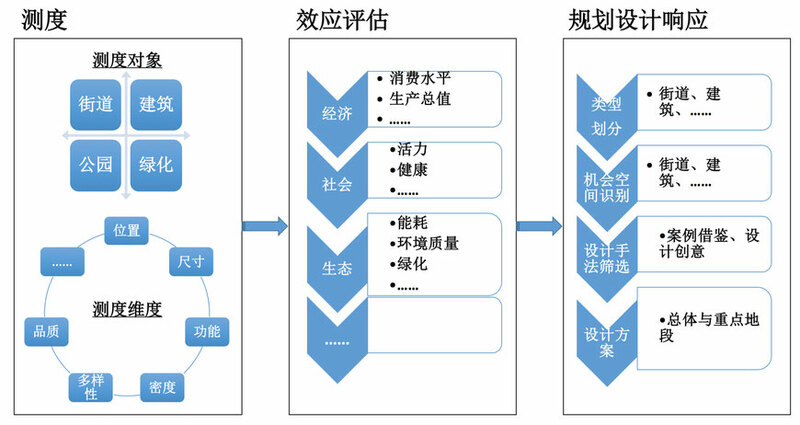 In the experimental part, we capture multi-years Tencent Street View Picture covering all the Hutongs, and conduct both physical and perceived visual quality evaluation. 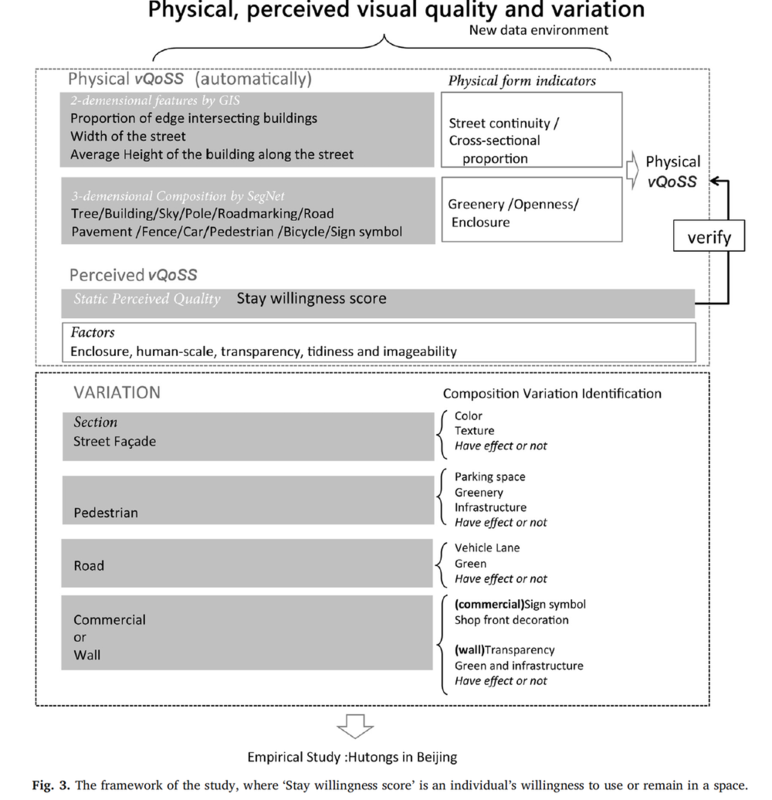 The physical visual quality of street space is achieved automatically by combining 3-dimensional composition calculation of greenery, openness, enclosure using machine-learning segmentation method SegNet, and 2-dimensional analysis of street wall continuity and cross-sectional proportion; perceived visual quality of street space is evaluated by stay willingness scoring from five aspects. The variation of quality is evaluated based on the identified physical space variations. 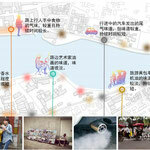 The result indicates that visual quality of Hutongs are not satisfied, while some regeneration projects in the historical protection block is better. Most Hutongs are in shortage of visual green, relative more continuous but with low cross-sectional ratio. Hutongs near main road witness an increasing trend of motorization. The difference between physical and perceived quality indicates the feasibility and limitation of the auto-calculation method. 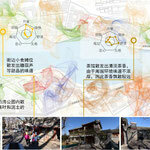 In the most recent 3–4 years, less than 2.5% Hutongs are improved, which are mainly slow beautification. The journal Landscape and Urban Planning (LAND) solicits contributions for a Special Issue to be published in 2018 on “Measuring human-scale urban form and its performance”. An extended abstract (800 words or less) that elaborates how the proposed research work fits the aims and scope of the Special Issue is due on or before January 15th, 2017. Selected authors should submit their full manuscript (8,000 word limit, please see the Guide for Authors on the LAND website) by July 1st, 2017. The co-guest editors will work with the facilitating Co-Editor-in-Chief of LAND to go through another round of selection. Authors in the shortlist will be invited to submit their papers through the LANDwebsite for external review by August 1st, 2017. Final editorial decision will be given by the Editor-in-Chief by April 15th, 2018. The Special Issue will be published in following months. Through this Special Issue, the guest editors aim to make a compelling case for an emerging and promising research direction of measuring the “unmeasurable” human-scale urban form and performance. We welcome contributions by scholars and practitioners from around the world that focus on one or any combination of the following themes. 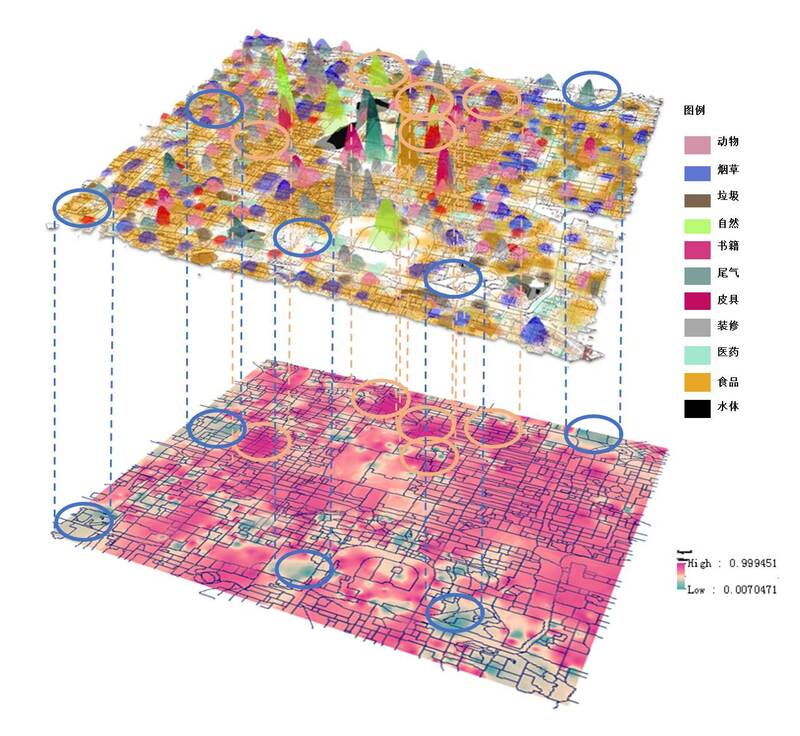 How can we identify the human-scale features of urban form and related performance by applying new data environment and new analytical methods? How can we quantitatively measure and model these features and related performance with geo-spatial tools? Is it possible to generate an in-depth understanding of the underlying relationships between urban form and its performance? How can we promote better place-making based on these insights? 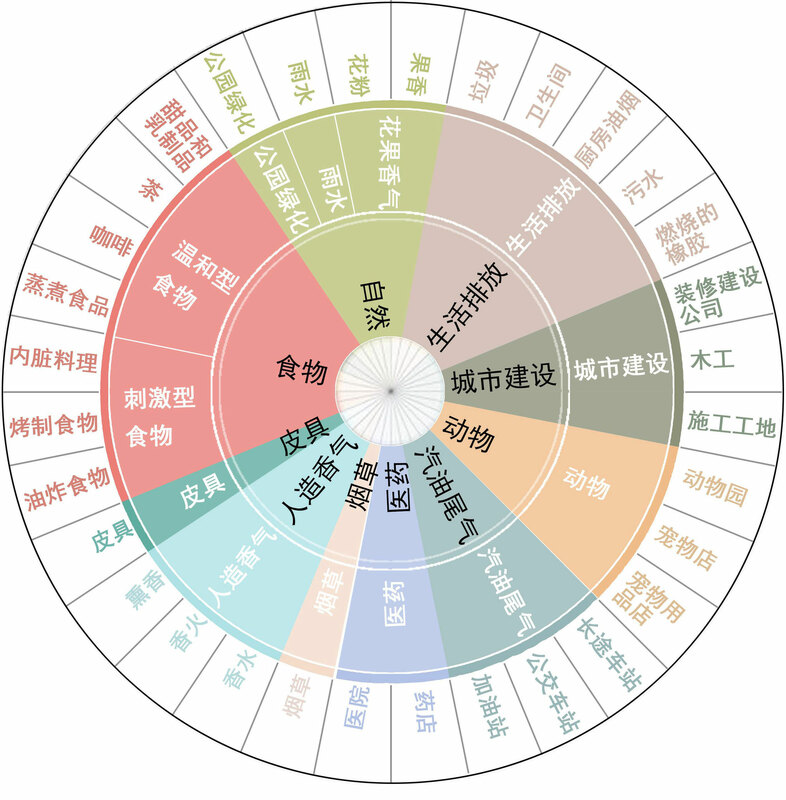 The human-centered perspective has been frequently mentioned in many national policies on urbanization in China, like National Guidelines for Developing a New Type of Urbanization and Central Urban Work Conference. 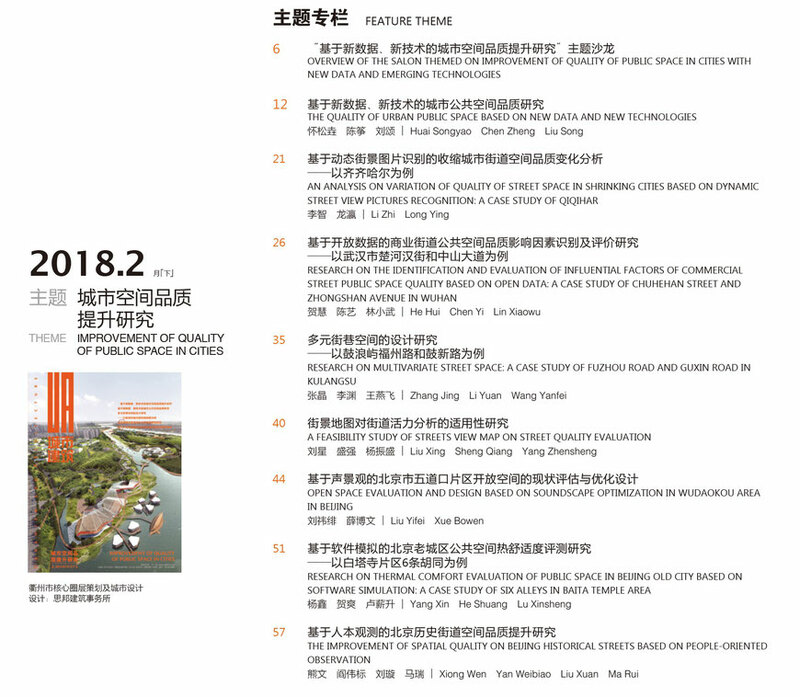 Accompanying with the raising call for human-centered considerations in urban planning and design, a series of new data environment and new analytical methods bring new potentials for achieving this goal. 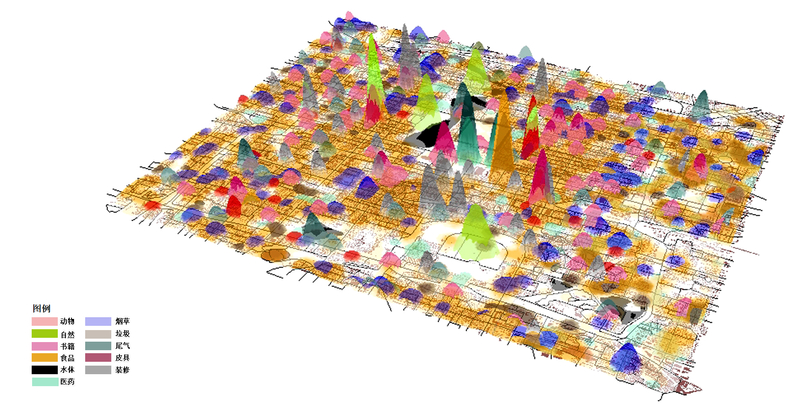 For instance, the new data environment consisting of big data and open data helps provide foundation for in-depth studying of urban form and its related performances. New techniques and methods, e.g. Lidar imaging, virtual reality, eye-tracking, deep learning, big data mining and visualization, provide emerging insightful analytical approaches. Therefore, the paper proposes the conceptual framework of human-scale urban form that can be defined as visible, touchable, and appreciable urban form in people’s daily lives. It would be a meaningful supplement for classical urban morphology focusing on street blocks and parcels. 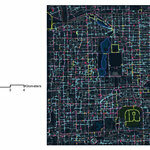 Following this route, the paper firstly reviews existed studies related to the concept of human-scale urban form. Three essential issues of human-scale urban form, i.e., measurements, performances, and urban planning and design interventions, are then discussed to guide future researches. After that, several initial studies made by the authors are illustrated as empirical examples. In sum, the paper is an initial attempt to claim the concept framework of human-scale urban form and explore its potentials in urban planning and design practices. It might help promote the transition towards a more scientific planning and design paradigm, and finally contribute to better urban lives. The quality of street space has a great influence on behavior, public health, so as to cultural of urban daily life. The improvement of street space is gaining increasing concern from the policy makers and urban designers, especially in China`s metropolitan. 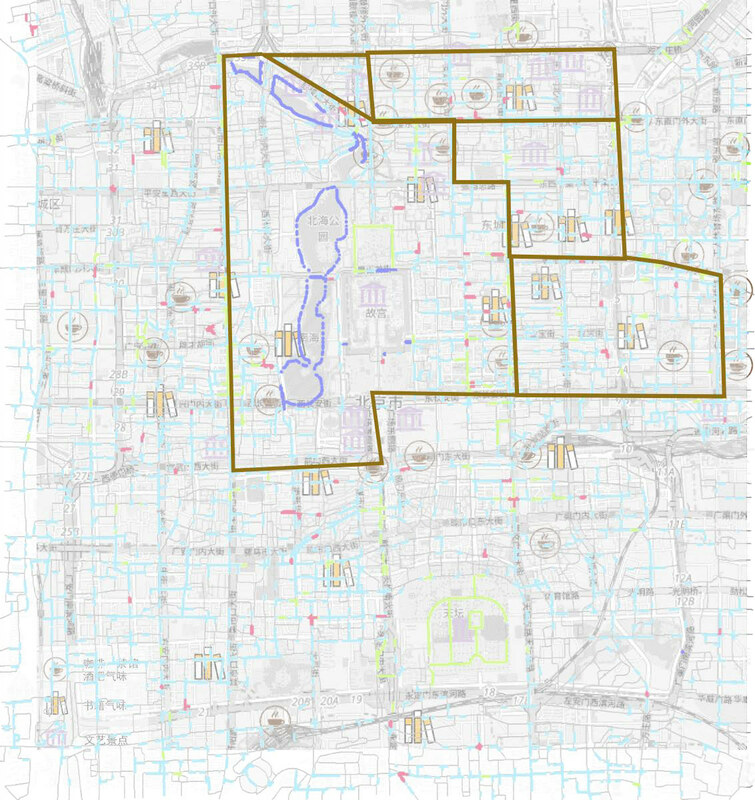 A comparative evaluation for quality of street space in central area of Beijing and Shanghai is done in this paper, within which five hundred streets are randomly selected. Street view images are collected for image segmentation, users subjective scoring evaluation. It is found that street in central area of Beijing has a worse quality compared to Shanghai. The quality of street has yet to be refined to improve. Extensive evidence has revealed that street greenery, as a quality-of-life component, is important for oxygen production, pollutant absorption, and urban heat island effect mitigation. Determining how green our streets are has always been difficult given the time and money consumed using conventional methods. This study proposes an automatic method using an emerging online street-view service to address this issue. 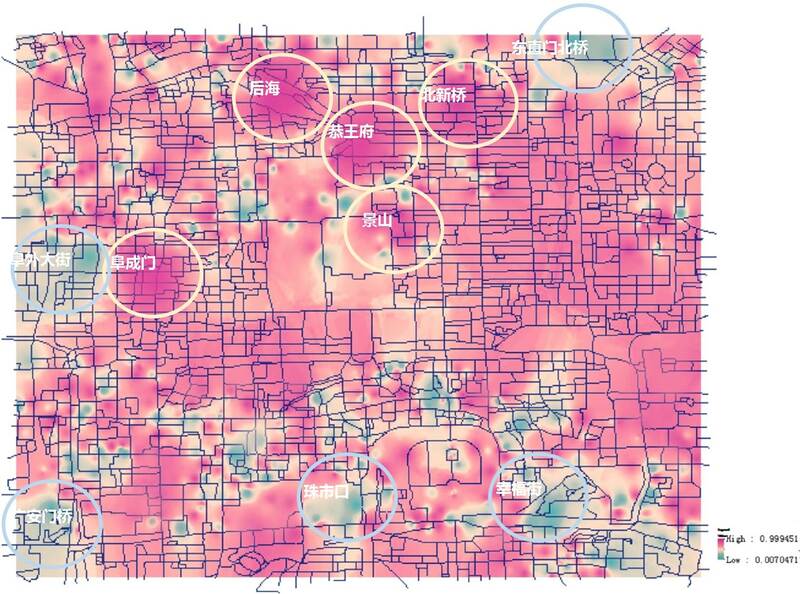 This method was used to analyze street greenery in the central areas (28.3 km2 each) of 245 major Chinese cities; this differs from previous studies, which have investigated small areas in a given city. Such a city-system-level study enabled us to detect potential universal laws governing street greenery as well as the impact factors. 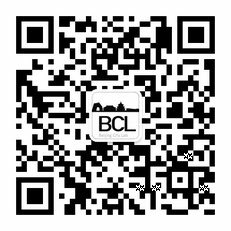 We collected over one million Tencent Street View pictures and calculated the green view index for each picture. We found the following rules: (1) longer streets in more economically developed and highly administrated cities tended to be greener; (2) cities in western China tend to have greener streets; and (3) the aggregated green view indices at the municipal level match with the approved National Garden Cities of China. These findings can prove useful for drafting more appropriate policies regarding planning and engineering practices for street greenery. Street space is the most fundamental aspect people perceive in urban space. 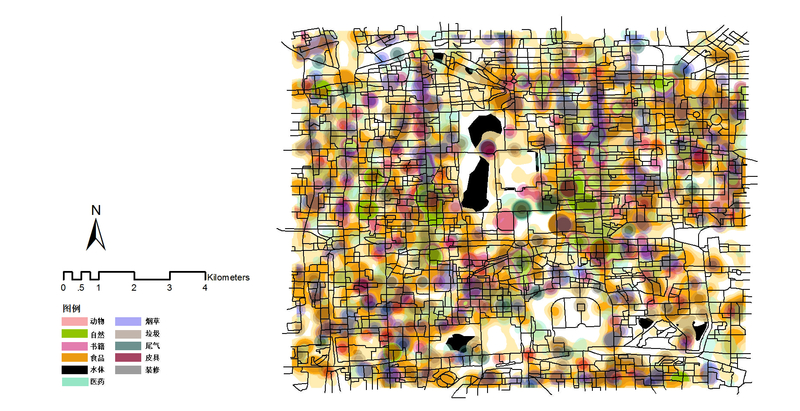 Urban smellscape is one of the most important measurements for street quality. Nevertheless, most urban studies have overlooked smellscape for several reasons, one of which is that smell is difficult to record and analyse. 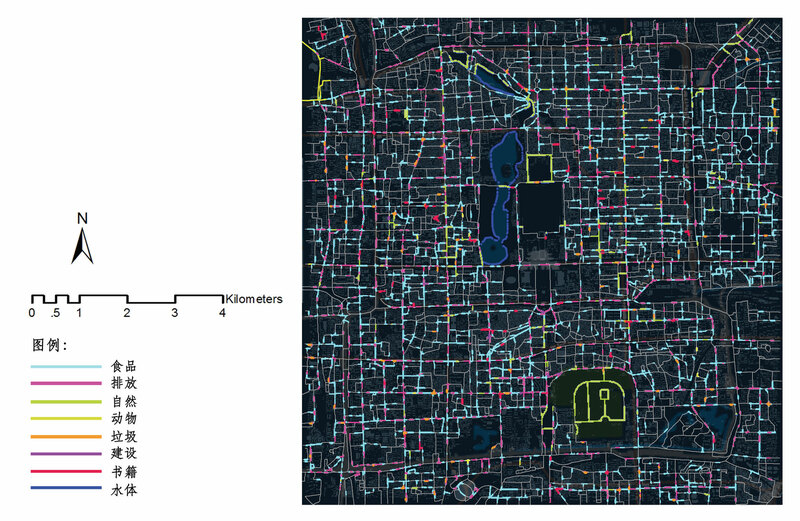 This paper explores the possibility of combining smellwalking with social media data analysis for classifying city smells and mapping the smellscape of old Beijing which is later verified with semantic analysis of social media data. 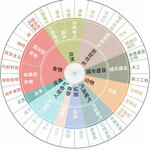 Besides, Houhai is selected as a case study area to show different layers of smells in a small scale and the influence smells have on places. Eventually, this paper discusses the possibility of employing smellscape in urban planning and design. This paper probes into the micro-scale built environment of street in Beijing Wudaoying Hutong, covering the dimensions of street scale, transitional space between the street and buildings, floor space, façade of buildings, color and texture and contents of display. 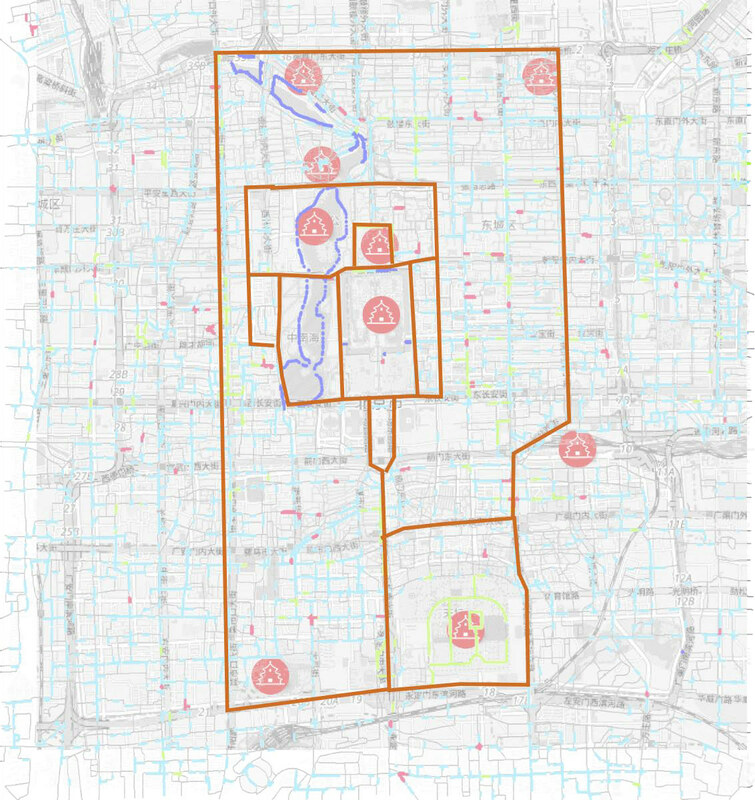 After identifying urban design features, the mechanism of impact of micro-scale built environment on halting behavior during walking is analyzed, which provides some implications on urban design guidelines of historical streets in Beijing.